Chitraka is the name of fire in Sanskrit. This is best for lack of digestive fire. It works on the indigestion, lack of appetite, abdominal gas. It removes Aama Dosha, which is formed due to lack of fire. According to Ayurveda, Aama leads to formation of endotoxins which is root cause of many auto-immune diseases like Rheumatoid Arthritis, SLE, Scleroderma, Nephrotic Syndrome etc. Plumbago zeylanica - it is an effective digestive stimulant and carminative and effective in treating digestive disorders like loss of appetite, indigestion, piles, worms, colitis, ascites and liver diseases. It improves the functions of the liver and augments appetite, improves digestion and relieves constipation. Piper longum root- it is a powerful stimulant for both digestive and respiratory systems. It stimulates the appetite and dispels gas from the intestine and also effective in alleviating respiratory disorders like cough, bronchitis and asthma. It is useful in alleviating distention of abdomen, flatulence etc. it is helpful in treating loss of appetite, nausea, indigestion, heaviness etc. Sarjikakshar - it is effective in treating disorders like indigestion, feeling of fullness, dyspeptic colic, hyperacidity, nausea and uneasiness. It is an excellent remedy for digestive disorders. Yavakshar - dehydration is caused due to diarrhea. This Yavakshar is useful in maintaining the electrolyte balance in the body due to excessive water loss and helps in restoring the proper functions of the digestive system. Five salts - it comprises of five types of salts and it prime effect is to enhance digestive power. It serves as a digestive as well as Carminative. It is effective for nausea, indigestion, loss of appetite, abdominal colic, flatulence and constipation. Piper nigrum - it is effective as a digestive stimulant and carminative. It also aids in alleviating pain. It is a good herbal remedy to reduce swelling and inflammation. It is also a very good natural diuretic. Ferula asafoetida - it is the most common and effective herb useful as a digestive aid. It is also helpful in curing bronchitis and asthma. It is a reputed drug which expels wind from the stomach and counteracts any spasmodic disorders. It is a nervine stimulant, digestive agent and a sedative. Apium graveolens - it is an effective remedy for indigestion and also useful in pacifying the excess secretion of acids. It is effective in hyperacidity, gout and rheumatism. 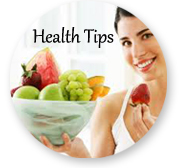 It enables the proper secretions and proper functions of the digestive system. 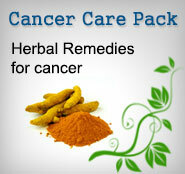 It is also effective in diseases like anemia, leukemia etc. it is also anti-spasmodic in nature and useful in asthma, bronchitis, asthma and pleurisy. Piper chaba - it is an effective digestive stimulant and Carminative. It has properties such as anti-microbial, analgesic, anti-inflammatory and diuretic. Processed in lemon juice and pomegranate decoction. Indication - Indigestion, Lack of appetite, Acidic eructations, Gripping pain in the abdomen and Chest, Abdominal Gas etc.